Sicily is one of the most popular destinations during summer season thanks to its enchanting beaches and to its places full of history and charm. The Massimo Villa Collection is a hand picked selection of beautiful villas which you can book for a holiday or celebration in Sicily. The villas range in size and style, from contemporary, coastal properties to restored rural farmhouses and all have private pools or are situated near the coast. 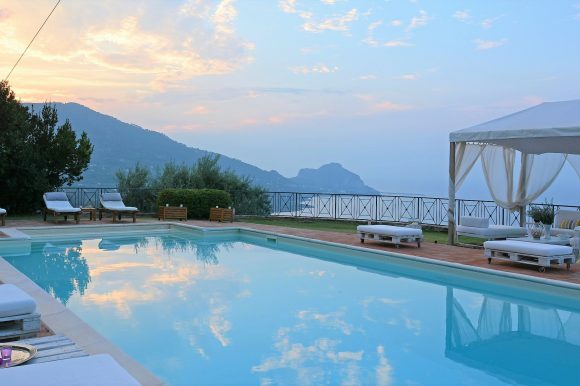 You can enjoy the Early Booking offer til 31st December 2018 for three luxurious in Sicily: Villa Il Ciliegio, Villa Il Basto and Villa Gilda. If you book by December you can get a 10% discount. 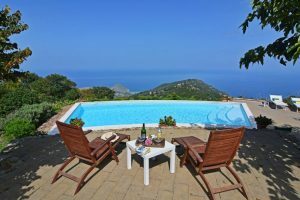 Villa il Ciliegio is set in an elevated position by walking trails through the Madonie national park, with panoramic views to the sea, Cefalu and the Aeolian islands. 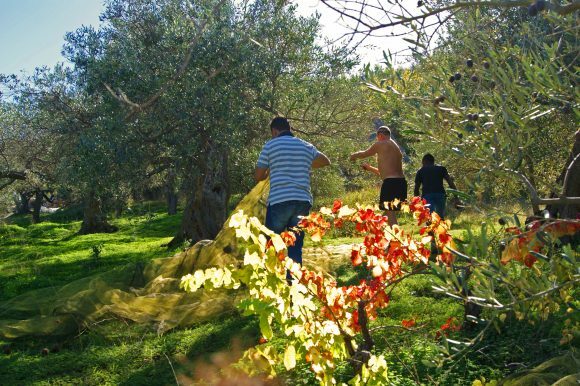 Villa il Ciliegio is a classic Sicilian country villa with plenty of character and charm. Traditional stone walls, wooden shutters and wooden beamed ceilings frame the luminous interiors which are furnished in a comfortable country style. Extensive gardens surround the villa and boast a panoramic pool as well as a choice of areas for relaxing or dining. For those who love hill walking, the villa is ideal as there are paths leading from the garden across the Madonie National Park. Yet the delights of the coast are nearby too with an array of sandy beaches, good fish restaurants and the pretty town of Cefalu, all within an easy drive away. 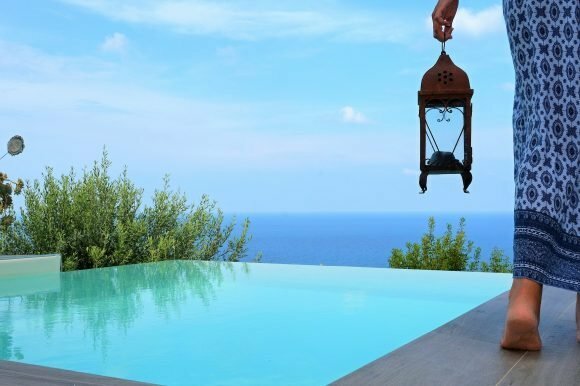 Villa Gilda is a beautiful villa set in a peaceful and rural location near the baroque town of Noto, an idyllic base for exploring the rural south-east coast of Sicily. A modern structure made of pale, local stone, the villa sits gracefully on a hillside overlooking olive groves which stretch to the coast. 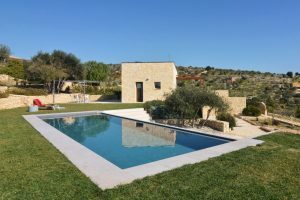 The garden has been landscaped to enhance the surroundings, incorporating olive trees and traditional stone walls with palms, cactus and a smooth green lawn. Guests are encouraged to enjoy outside living to the full. You can help yourself to fruit and vegetables grown in the garden, cool off in the inviting pool, have a siesta on a sun lounger and dine together under a pergola. Villa Il Basto, a recently restored villa on a hillside near Cefalu with stunning sea views, within easy reach of the beach. 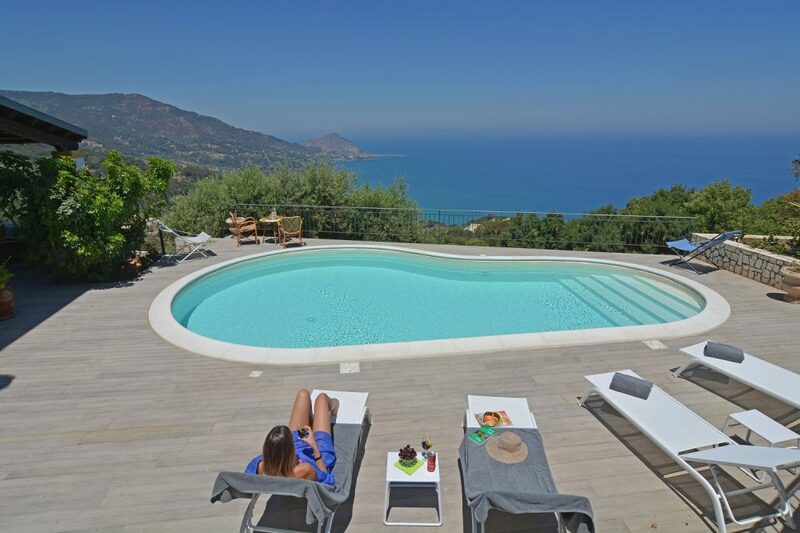 Villa Il Basto is a handsome, newly renovated villa facing the sea with smooth terraces for relaxing and dining, comfortable interiors and panoramic views. Designed and equipped for summer or off-season breaks, Villa Il Basto interiors are light filled and elegant, furnished with a mixture of traditional and contemporary Sicilian style and a pleasant array of antiques. On the ground floor is a large living area with wooden beamed ceilings, large sofas, an open fireplace and French windows leading out to a covered dining terrace. There’s also a kitchen and guest bathroom on this floor. Three bedrooms and two bathrooms are upstairs and a further bedroom and bathroom are in an annex next to the villa, each individually styled with homely appeal.